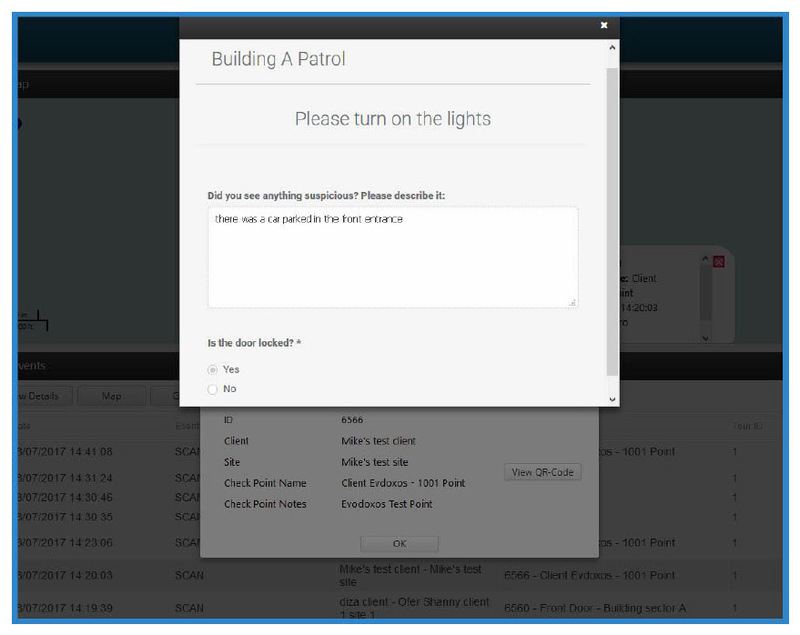 Do you want to give more detailed checkpoint instructions to your employees? Do you want them to answer a series of questions after they perform an action? Do your employees need to write even more detailed reports to send to the Monitoring Center? Do you want to keep all checkpoint-related information organized and in one place? If the answer to at least one of these questions is yes, then you've come to the right article - our latest Forms feature, will help your company achieve these goals! Forms can be used to send instructions to your employees, ask them questions, or even let them freely fill in any comments or information they want to share with the the monitoring center! All you have todo is create the form(s) of your choice (fully customizable!) using the user-friendly interface on the Web application, and assign the form to one or more checkpoints: every time the checkpoint is scanned, the form will appear in order to be filled by the employee! Note: Forms feature is available only for PRO accounts! Read our User Guide to learn everything you need to know about how to use Forms!